Quick tips on staying fit for employees and patients. 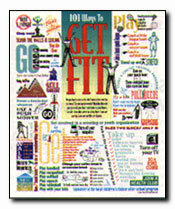 This engaging poster offers quick tips on staying fit and making it fun. It includes many colorful tips to incorporate even simple exercise into a daily routine.